The gulet Slano is a charming traditional Croatian sailing gulet 25 meters in length based in Split, Croatia. She accommodates up to 10 guests in 5 cabins (4 double and 1 twin). Leisure equipment includes jet ski (sea doo), 2 canoes, water ski, snorkeling equipment, 2 x paddleboard, ringo, fishing equipment, LCD, TV, Wi-Fi, and board games. The salon has a dining area on the starboard and port side. Each cabin offers air conditioning, private bathrooms, and TV. 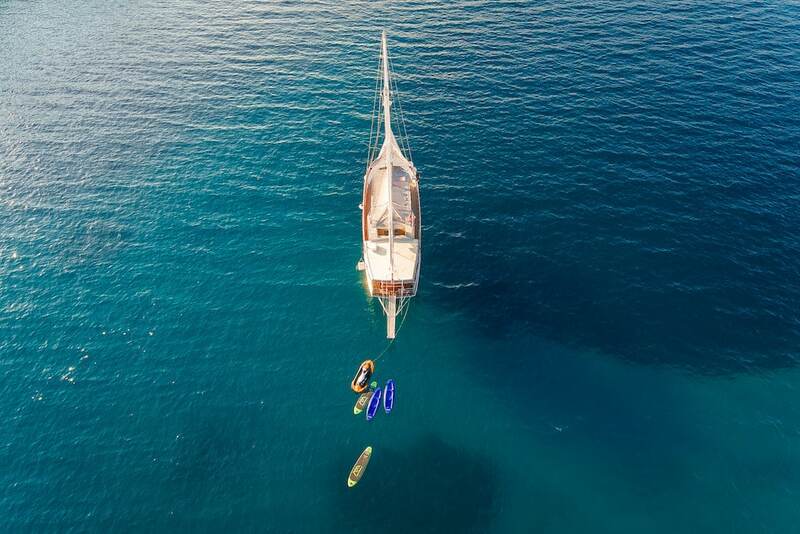 The beautiful gulet Slano is a great condition as she underwent a thorough refit completed in 2017. The aft is furnished with a lovely dining area. While the forward deck provides sun mats for each guest to enjoy the amazing scenery of the Adriatic coast and islands. She is served by a crew of 4 (captain, sailor, chef, and waiter).